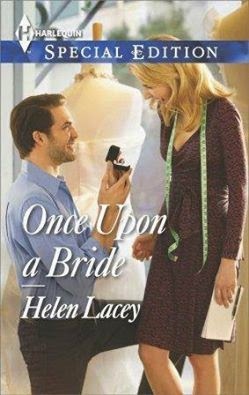 Our Spotlight this week is on Once Upon A Bride and author Helen Lacey. And there are giveaways! 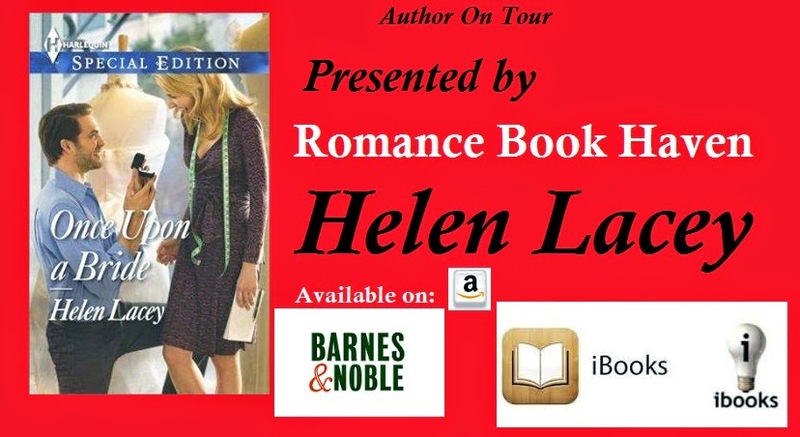 Helen Lacey grew up reading Black Beauty, Anne of Green Gables and Little House on the Prairie. These childhood classics inspired her to write her first book when she was seven years old, a story about a girl and her horse. Her parents' love of travel meant she saw much of the world in those early years and she feels fortunate to have had a diverse and interesting education over several continents. She continued to write with the dream of one day being published, and becoming a Harlequin Special Edition author is the realization of that dream. She loves writing about tortured heroes—both cowboys and CEOs—and heroines with gumption who finally get their men. From Welsh parents and a large family, Helen lives on the east coast of Australia in a small seaside town at the southernmost point of the Great Barrier Reef; she lives with her wonderfully supportive husband, many horses and three spoiled dogs. Sounds like a really sweet read! Great spotlight! HI Meradeth - Thanks for stopping by. Sounds terrific! I already see a couple HEAs in the bio alone. Not only has this author gotten her dream job writing for Harlequin, but she also has... HORSES! Congratulations! Hi Sandra - thank you and lovely of you to drop by. Congratulations to Helen Lacey and thank you for introducing her. That early reading was inspirational. Classic. Am enjoying your book Helen, and looking forward to hearing more about where you live when I host you. Hi Denise - I shall tell you (almost) everything :) Looking forward to visiting your blog. Sounds like a really sweet story! I'd love to read it! Hi Sherry - Hope you enjoy the book if you get to read it :) Thanks for stopping by. I love their expressions on the cover and it's great seeing Helen again. Loved the story, not mushy sweet but quite inspiring. Congrats Helen! Lots of book success. Congratulations to Helen! Sounds like a fun read, Helen. This sounds like a great read! Wishing Helen the best of luck! Romance and intrigue are a winning combination! All the best on your novel, Helen! Thanks Nas! Like DMS, I wonder too if the setting for this novel is near the author's home in the small town near the Great Barrier Reef. Many congratulations, Helen, on your new novel. Thanks, Nas.